It is possible to park your car along the canal. 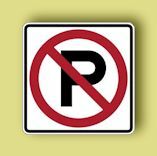 Please be aware that everywhere in the centre of Amsterdam there is paid parking daily, from 9.00 hrs - 0.00 hrs, on Sundays from 12.00 hrs - 00.00 hrs. It is only possible to pay with maestro or creditcard (no cash). Costs are 45 euro per 24 hours. Alternatively, it is possible to park at the public parking "Q-park Europarking, on Marnixstraat 250. The hotel reception will be able to give directions. The NADIA HOTEL also works with a valet parking service; your car will be collected within 30 to 45 minutes after informing the hotel Reception. Your car will be kept in a safe area outside the city. Upon pickup you may schedule an appointment to have the car returned, or the hotel may arrange it later for you, with about 2 hours� notice. the streets of Amsterdam City costs at min. euro 5 per hour. For a safe carpark in the city center you will be asked to pay at least euro 5.00 per hour. within 30 minutes and parked in a safe and covered car-park. euro 30,- per 24 hour & euro 50,- for 48 hour & euro 70 for 72 hour. Parking in a P+R car park costs only �8 per 24 hours - with a maximum parking time of 96 hours (�32). This fee includes FREE public transport to the centre of Amsterdam for a maximum of five people. Be sure to read all the instructions below before parking at a P+R location. In addition, we strongly advise you enter and exit the P+R locations during regular opening hours to ensure that you get the P+R discount rate. Everything about how and where to park your car. Leeuwendalersweg 23b, 1055 JE Amsterdam, near the S104 exit from the A10 ring. This car park is open from 7 am to 10 pm. You may leave the lot with your car at any time �?? 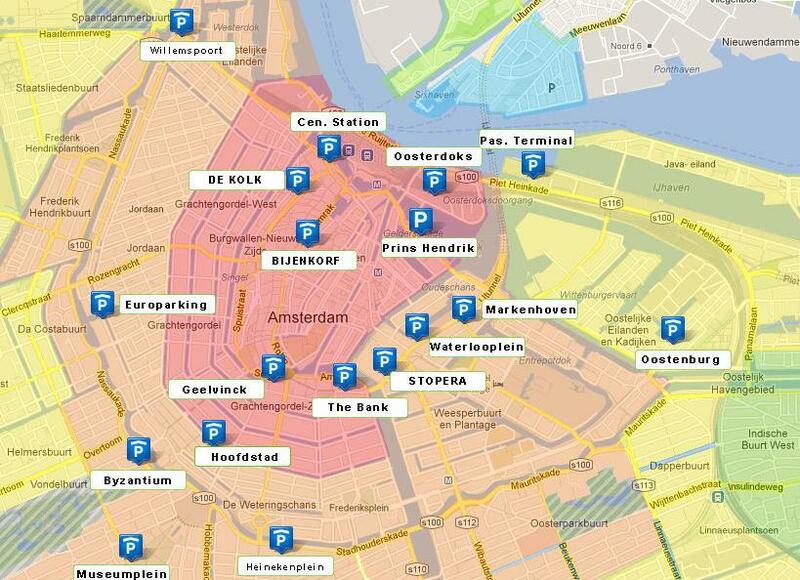 24/7; communication with the centre of Amsterdam: tram 14; bus 15, 21, 80, 82, 247, 315, 352 and metro 50. Loosdrechtdreef 4 , 1108 AZ Amsterdam Zuidoost; from A10: exit S113, this is the biggest parking lot but you may park your car only during hours 7 A.M. �?? 7 P.M.; you may leave the lot 24 hrs per day. (Olympic Stadium), Olympisch Stadion 44, 1076 DE Amsterdam; capacity: 250; located at the ring A10, exit S108; communication with the centre of Amsterdam: tram 16, 24 ; this parking lot has also free bicycles to lend (up to two bikes per car �?? your ID will be required). Piarcoplein 1, 1043 DW Amsterdam, at Sloterdijk train station, capacity: 200; freeway A10 exit S102; communication with the centre of Amsterdam: train from the Sloterdijk station, metro 50, bus 48, tram 12; this parking lot has also free bicycles to lend (up to two bikes per car �?? your ID will be required). Koningin Wilhelminaplein 13 , 1062 HH Amsterdam , from A10: exit S106, follow the signs World Fashion Centre; this is one of the closest parking yards to the centre of Amsterdam. Zuiderzeeweg 46 1095 KJ Amsterdam; at Piet Heintunnel, capacity: 250, from A10 exit S114, communication with the centre of Amsterdam: tram: 26, bus 37, 245. If you leave your car in an unattended area in the city, do not leave anything of value in the car. Please also consider putting this "no valuables inside" warning behind the windows.